Here I defined SSBs, gave examples of SSBs, and stated why you shouldnâ€™t drink them, but should drink water ðŸ’¦ instead. The reason SSBs are so bad is because they have added sugar. â–«ï¸� Added Sugar Definition: Any addition of sugar to a food or beverage. â–«ï¸�Examples of Added Sugars: See image above. This image lists ingredient names found on food labels. Added sugars are not just found in SSBs or drinks. Added sugars can be found in candy, desserts, and other foods too. 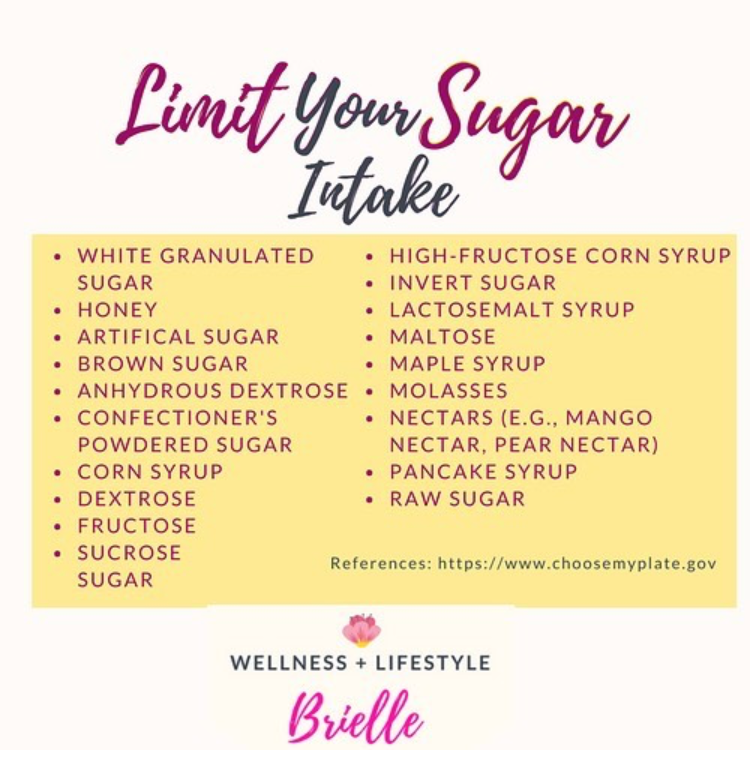 Additional names for added sugars are cane juice, evaporated corn sweetener, crystal dextrose, glucose, liquid fructose, sugar cane juice, and fruit nectar. Itâ€™s not recommended that you eat lots of sugar because it has no essential nutrients, but does contribute to your calories. Want to learn more about sugar and how it impacts your health? Let me know!